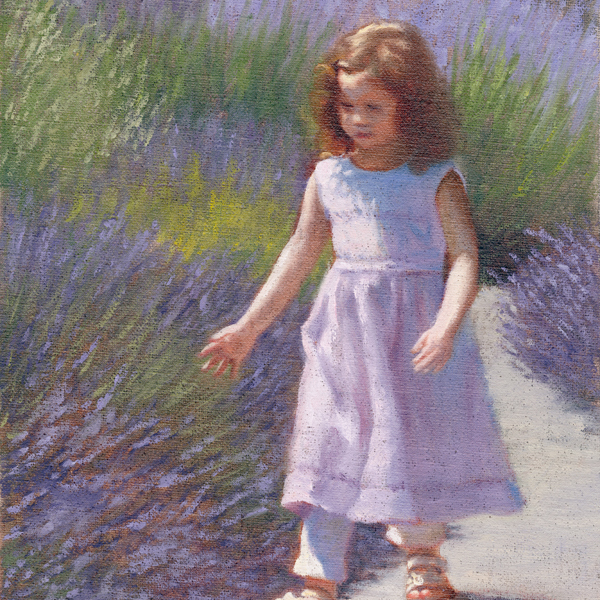 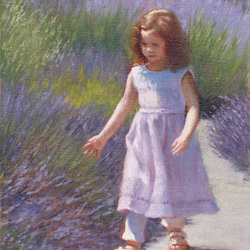 a fragrant lavender or rose garden with distant mountains in the horizon? 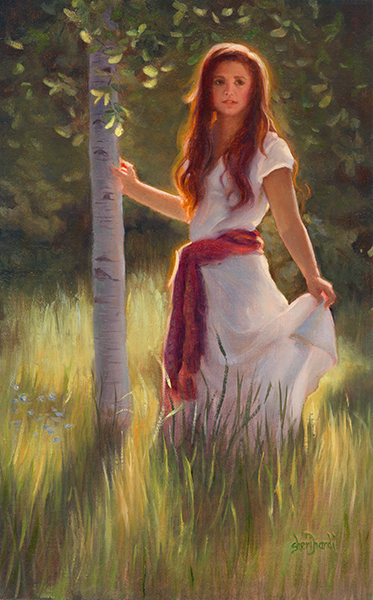 I follow the rhythm of the seasons and aim to capture the fleeting effect of light as it changes through out the day.
" 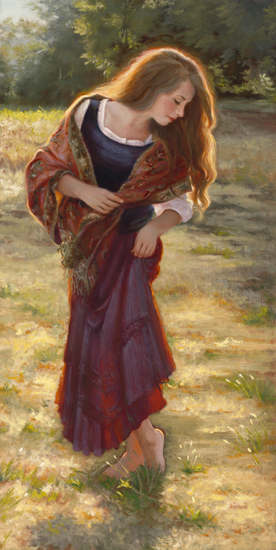 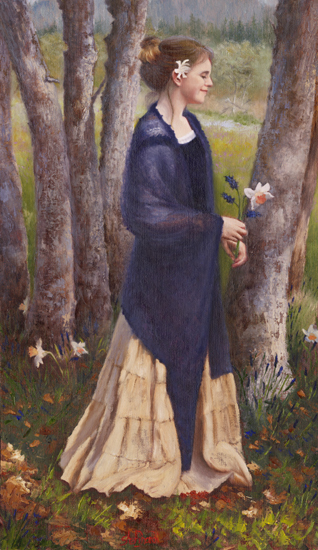 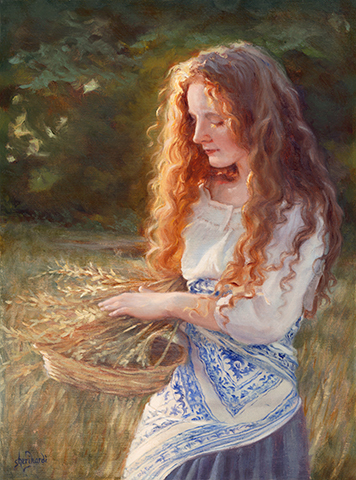 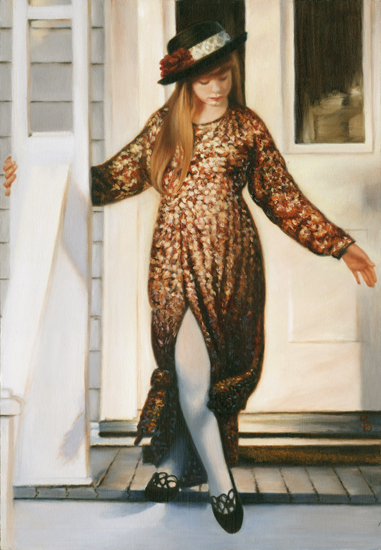 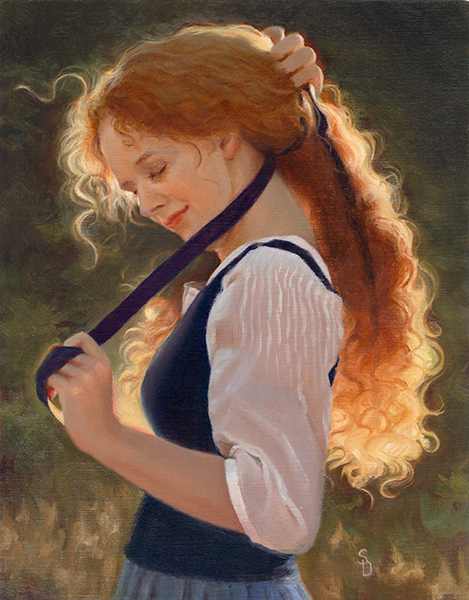 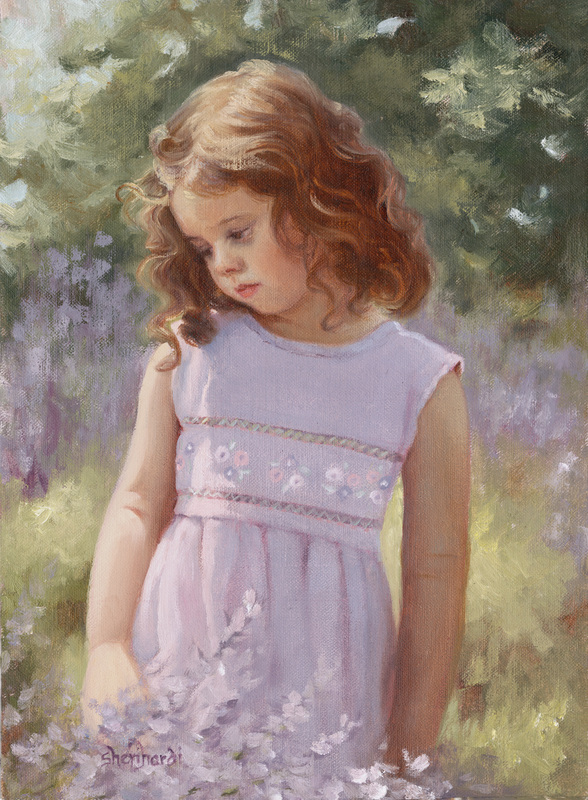 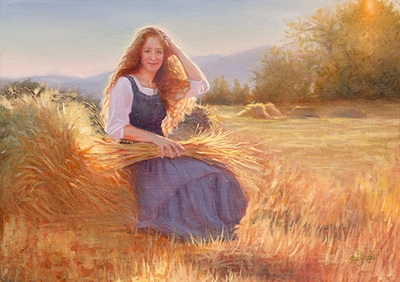 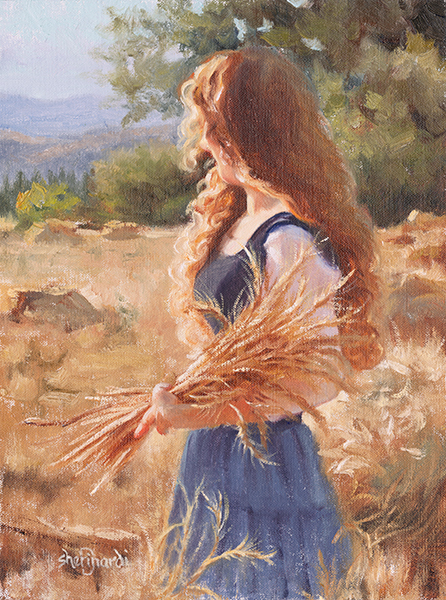 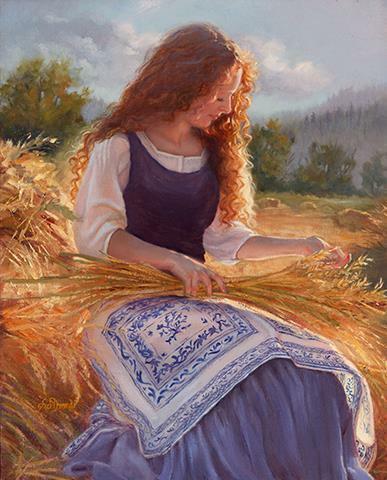 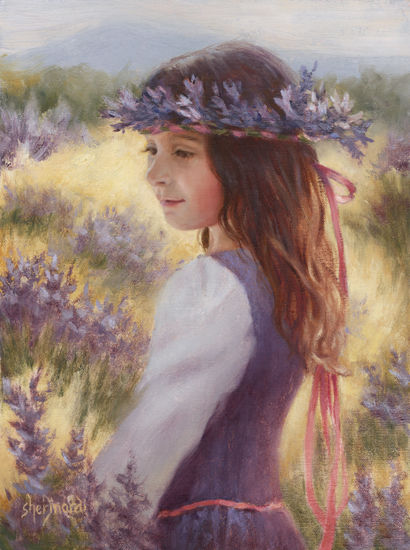 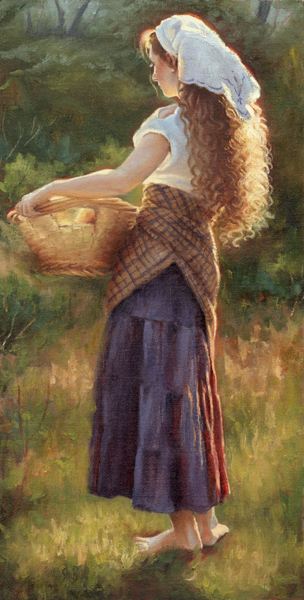 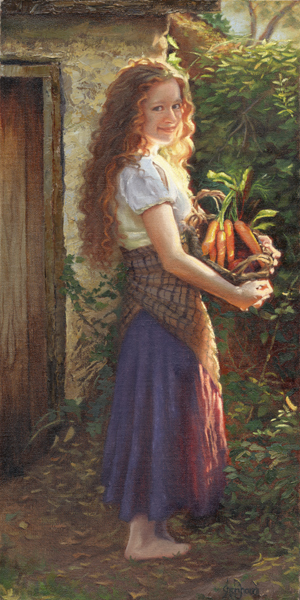 Watching the play of light on golden fields of grain prompts her to capture the effects of fleeting light as she paints women and children in a landscape scene. 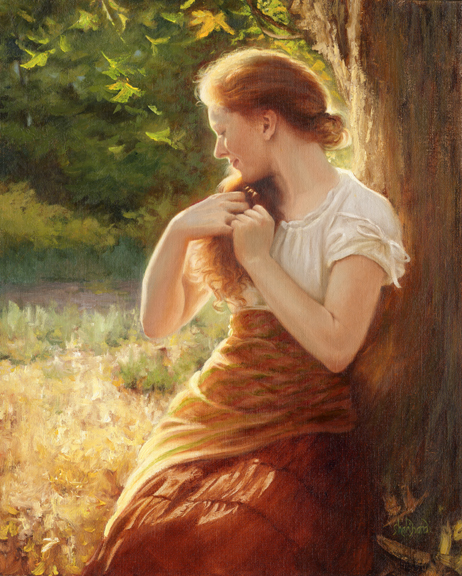 Viewers are lifted into a sense of timelessness and sacred radiance, as if they have been transported to another world of beauty and hope. 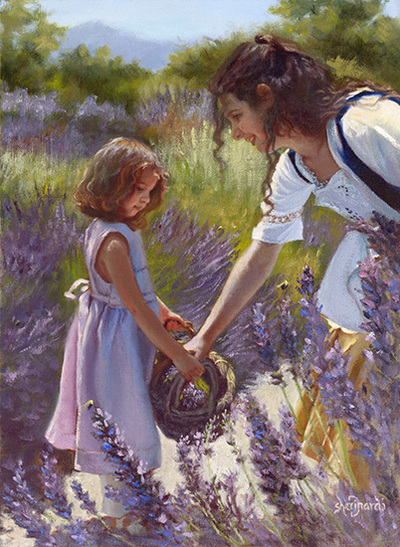 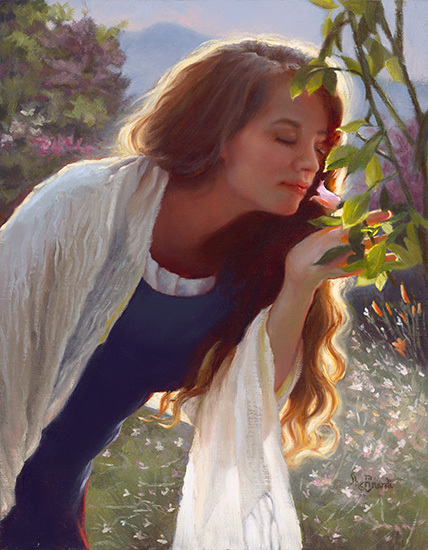 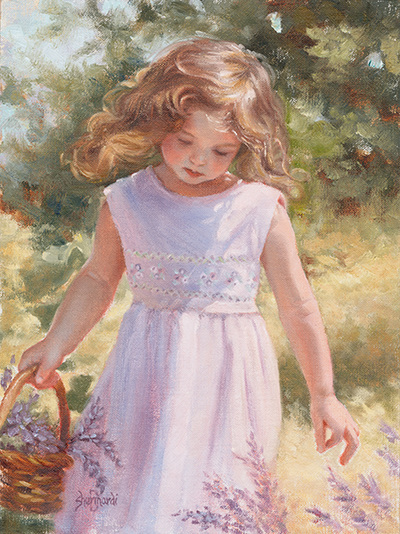 You can almost smell the sweet fragrance of lavender and roses... viewers are invited to look deeper than the surface, sensing a soul that has been set free. 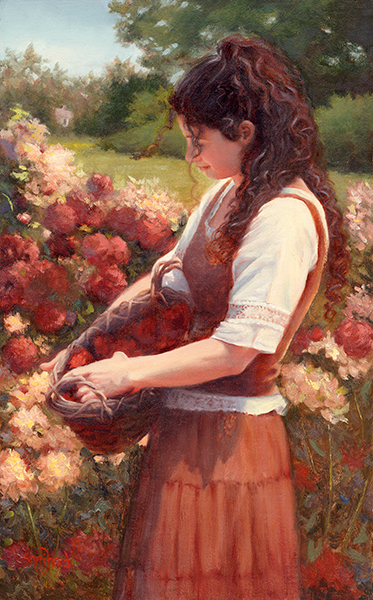 Her love of creation and Creator are evident in every stroke."